The Dodge Journey is a midsize crossover available in either five- or seven-seat configurations, with your choice of front- or all-wheel drive. The Journey is the most versatile crossover on the market, setting records ever since it was released. New features for 2015 include five years of free service when your Journey is equipped with the available SiriusXM Traffic and Travel Link. The Journey is powered by a standard 2.4-liter 16-valve DOHC four-cylinder engine, which works to produce 166 pounds-feet of torque, as well as 173 horsepower. The 2.4-liter engine is mated to a four-speed automatic transmission, and the four-cylinder engine has earned a highway fuel economy rating of 26 miles per gallon. Also available is the continuously award-wining 3.6-liter Pentastar V-6 engine, which is option on the Crossroad and SXT models, and standard on the R/T, Limited, and all-wheel drive models. The Pentastar engine produces a best-in-class 283 horsepower, and 260 pounds-feet of torque when linked to a six-speed automatic transmission. The Pentastar has been recognized by Ward's Auto three years in a row, placing high on their list of the "10 Best Engines". The Journey has been constructed with careful consideration to detail, both inside and out, and comes equipped with an elegant design not typically found within crossover SUV's. The beautiful, one-piece soft-touch instrument panel which is positioned behind the three-spoke steering wheel. Standard in the Journey is a 4.3-inch Uconnect touchscreen radio, seven air bags, illuminated cup holders, power heated and fold-away mirrors, and keyless Enter 'n Go with push-button start. The cabin offers a quiet, comfortable ride. The exterior boasts a crosshair grille, either 17- or 19-inch wheels, and flared fenders. 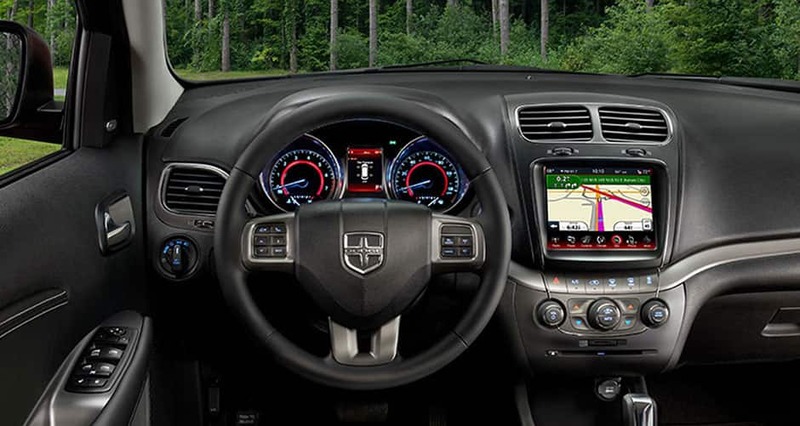 There are a variety of standard safety features include in the incredible Dodge Journey, like front active head restraints, side curtain airbags, side-impact airbags for the front seats, driver's knee airbag, electronic stability system, antilock brakes, front airbags, and available backup camera, and rear parking sensors. 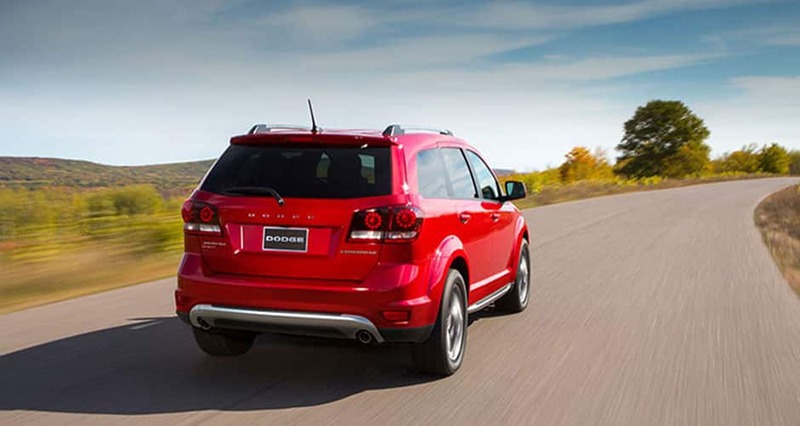 Have a question about the incredible Dodge Journey? Give us a call, or fill out the form below, and we would love to discuss it with you!